An option for the pine-nut crust pie filling, is a lemon curd, which I absolutely love, since it offers a wonderful balance of sweet & sour. And it’s really simple to make. In essence the eggs are cooked first with the sugar and lemon juice over hot water, and then butter is gradually incorporated. Leaving you with a wonderful consistency and great curd. So what do you need…. Use a double boiler or if you don’t have one, bring a pot of water to boil in a bot that is slightly smaller in diameter than the (stainless steel or glass) bowl you will use to make to make the curd in. 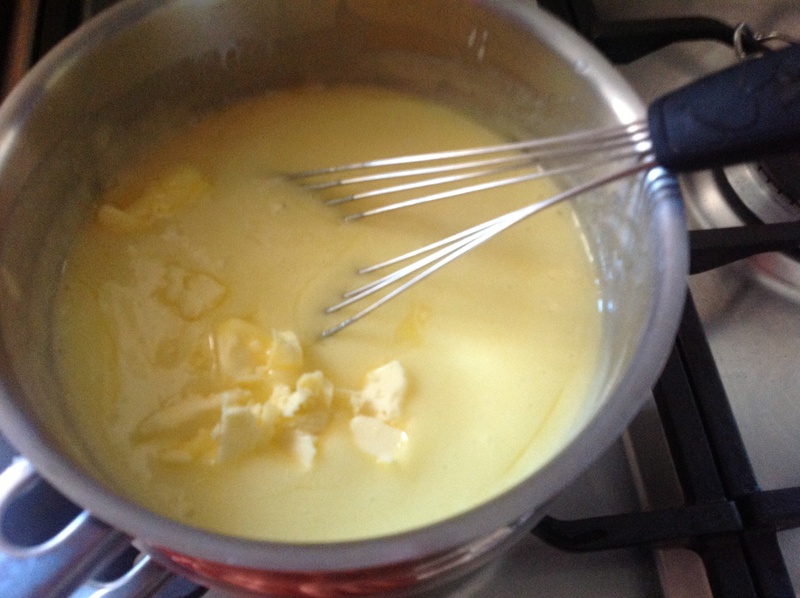 In this bowl (off the heat) whisk together the eggs, sugar and yolk for about a minute or until mixture appears smooth. Now place the bowl over the pot and use a whisk or wooden spoon to stir the mixture. If you are using a bowl (& not a double boiler), make sure you turn the bowl for even heating. When the eggs start to get foamy and thicken, add 1/3 of the lemon juice. Continue stirring. When the mixture thickens again, add another 1/3. Stir the mixture, until it thickens again, and add the remaining lemon juice. Continue stirring until mixture is thickened and light in color. The total cooking time shouldn’t take more than 10minutes. Turn off the heat. Leave the bowl over the water. And stir in the pieces of butter, until it’s melted completely in. Pour now into the tart crust/s and place the tarts on a baking tray. Heat the oven grill and whilst the curd is still warm in the tart/s, place the tart under the grill. Leave the door open slightly, and brown the top of the curd. Rotate the tart if necessary for even color. This will only take a few seconds so watch closely. Remove the tart and let it set for at least an hour before serving. This can be served at room or fridge temperature. It’s your preference. I prefer the chill of the fridge. 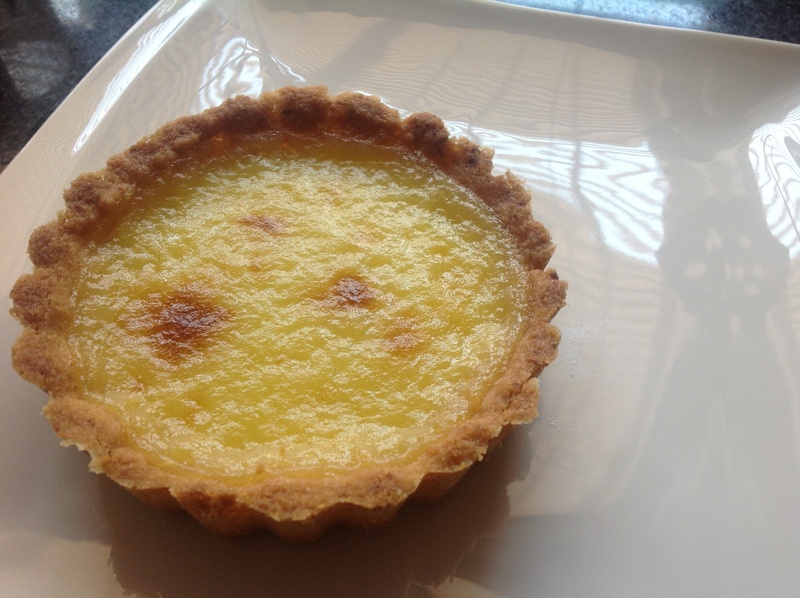 This entry was posted in Baking as easy as 1..2..3 and tagged lemon, lemon curd, lemon custard, sabayon by angelb38. Bookmark the permalink.